Across from Sri Srinivasa Perumal Temple in Serangoon Road is an unassuming restaurant which serves the best masala thosai I have eaten. The restaurant is called MTR 1924. MTR is short for Mavalli Tiffin Rooms and 1924 refers to the year the Maiya brothers started the business in Bangalore, India. There is nothing fancy about the place. It is clean, brightly lit and there is a steady stream of customers. I go there hankering after Masala Dosa ($6) and it is wonderful. MTR's version is much darker than other ones I have had and the rice and lentil pancake is also thicker than most. Yet, it is crisp and has a beautiful tang like good sourdough bread. With every mouthful, there is the rich, indulgent taste of ghee. Despite the spiced potato filling, which might cause the pancake to go a little soft, the thosai stays crisp until the last bite. On almost every table in the restaurant, there is Rava Idli ($4), the semolina version of the traditional steamed rice cake. I order it to try and it blows my mind. MTR says it invented rava idli during World War II, when rice was in short supply. The semolina cake is studded with cashews, coriander leaves, curry leaves and mustard seeds, and the texture is light and fluffy. It comes with a little pot of ghee, chutney and a mildly spiced potato sagu. Where has this been all my life? Sashimi ($20 for six types of fish) from Mikoto at The Quayside. The convivial atmosphere in a Japanese izakaya is such a treat after a tiring work day. In these places, you can let your hair down, drink ice-cold beer and order a selection of things to eat. Mikoto at The Quayside has the right kind of vibe and some really good food too. 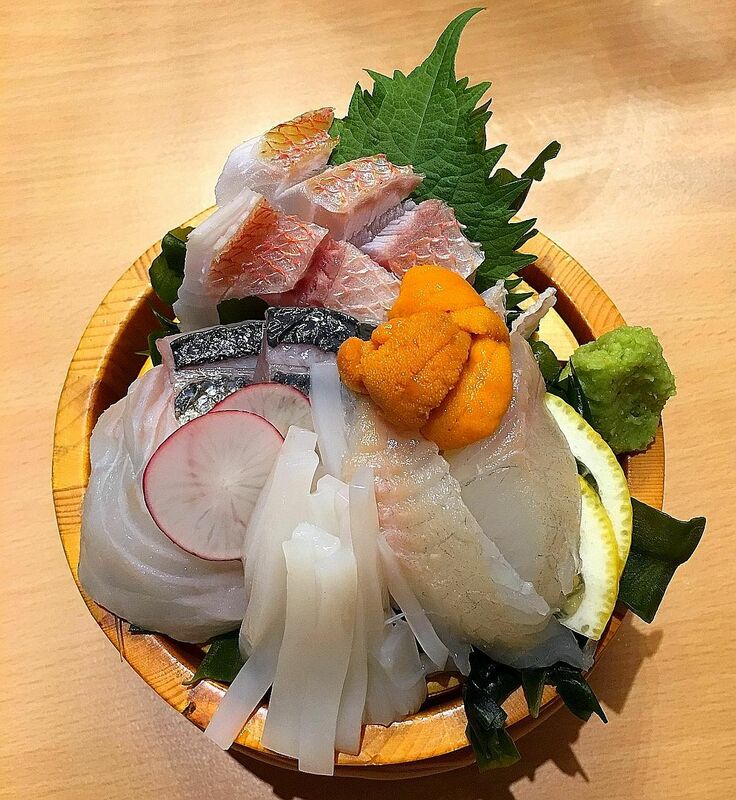 On Fridays, it gets a shipment of fish from Hokkaido and that is the best night to order sashimi (photo, $20 for six types of fish). The selection on my visits have included sweet sea urchin, squid, kinmedai and flounder. The Grilled Half Chicken ($18) served on a hot plate is excellent, boasting juicy breast meat. Pieces of cabbage on the bottom, lightly charred by the hot plate, make for compulsive eating. I am also very partial to the Onigiri ($9), filled and topped with tarako or salted cod roe. Buta Kimchi ($10), a pork and kimchi stir-fry, is piquant and hearty. If corn tempura ($6) is available, go for it, especially in the height of corn season, when the kernels are phenomenally sweet. For something more earthy, Stir-fried Liver & Chives ($10) is perfect. The slices of pig liver are cooked perfectly pink in the middle. I will raise my Yuzu Highball ($8) to that. Bu jian tian char siew, made with a cut of pork located between the shoulder and the belly, from Fatty Cheong. If you are at Fatty Cheong, a popular roast meats stall in ABC Brickworks food centre in Jalan Bukit Merah, and you do not see owner Chan Tuck Cheong there, that is because he is running a new stall. His older son, Lachlan, 24, runs the Bukit Merah one, while his younger son, Lachron, 21, takes charge of the business in Toa Payoh. Mr Chan, 50, now works his magic at Ci Yuan Hawker Centre in Hougang. His bu jian tian char siew, made with a cut of pork located between the shoulder and the belly, is one of the best in Singapore, and the reason I keep going to Hougang. The roast duck, with its mahogany skin, is also a good bet. 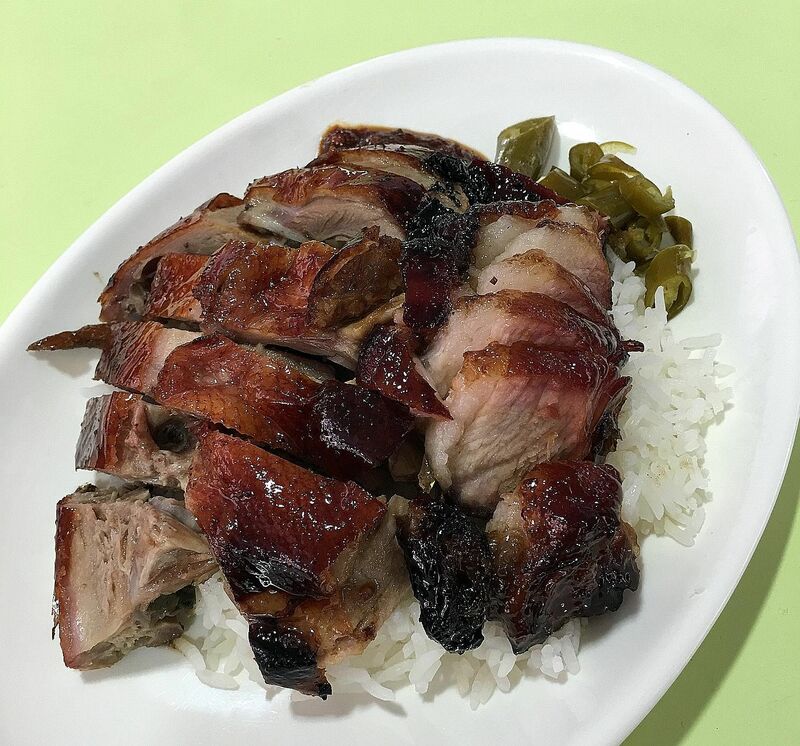 My usual order is rice with roast duck and bu jian tian char siew (photo, $5). Ask for the thick sauce to be served on the side because nothing should blanket crackly roast duck skin or fatty char siew. Burger ($15), with a 170g patty made with ground grass-fed beef mixed with wagyu, from Nekkid. In a city full of night birds, the question of where to get supper is not a trivial one. There are the usual suspects - prata joints, round-the-clock dim sum places and hawker stalls that open until the wee hours. A meal in a restaurant is harder to find, but here is a suggestion: Nekkid at Gillman Barracks. It used to serve cocktails and small plates, but has now morphed into a supper place where diners can order some of the lunch specials served at its big sister restaurant, The Naked Finn. 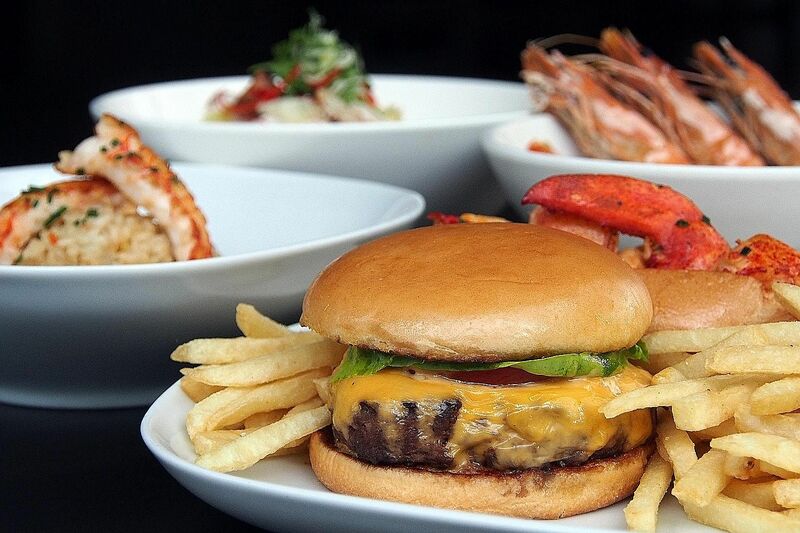 These include the Burger (photo, $15), with a 170g patty made with ground grass-fed beef mixed with wagyu; Hae Mee Tng ($25), prawn noodles with tiger prawns and pork belly; Fish Soup ($28) with Indian threadfin; and Mozambique Lobster Risotto ($35), Bomba rice cooked with a rich shellfish broth and topped with the little lobsters. Small plates such as Beef Tataki ($10), Grilled Octopus Tentacle ($18) and Air-Fried Chicken Winglets ($7) are also available, as are desserts such as Naked Chendol ($13) and Goreng Pisang ($5). Its signature frozen cocktails ($18 to $23) are also available and the Fresh Coconut one is the best of the lot.